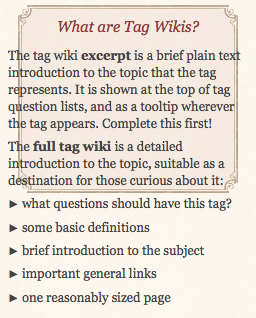 The block that provide a help about tag Wikis is not correctly rendered. The screenshot shows how I see it on Firefox 4. This is now fixed -- the body class wasn't getting set properly.